» Featured » Drone maket can be a new blue ocean? Drone maket can be a new blue ocean? According to BI Intelligence(Digital market research company) report, we may see future prospection of drone & its market. Let’s take a look some tips from the report. 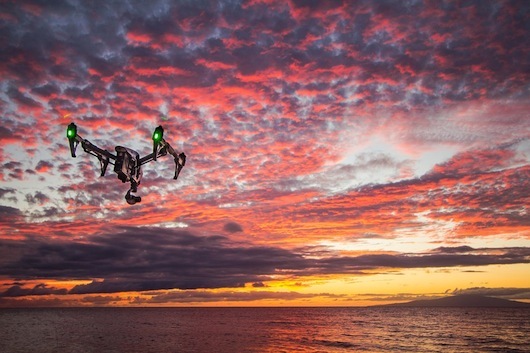 ・The global commercial drone market will take shape around applications in a handful of industries: agriculture, energy, utilities, mining, construction, real estate, news media, and film production. ・Most growth in the drone industry is on the commercial/civilian side, as the shift away from the military market gains momentum. The market for commercial/civilian drones will grow at a compound annual growth rate (CAGR) of 19% between 2015 and 2020, compared with 5% growth on the military side. ・E-commerce and package delivery will not be an early focus of the drone industry. ・The commercial-drone industry is still young but has begun to see some consolidation and major investments from large industrial conglomerates, chip companies, and defense contractors. ・Many of the notable early commercial UAV manufacturers are emerging outside of the US market: These include Switzerland-based senseFly (owned by France-based Parrot), Canadian firm Aeryon, publicly traded Swedish firm CybAero, Shenzhen, China-based DJI, and Korea-based Gryphon. Drone market is featured area as a new commercial market.